This information day targets potential ICT proposers for the Challenge 1 objectives that are open in call 1, including Objective 1.4 - Secure, dependable and trusted Infrastructures. In attachment (below), please find the agenda of the plenary session and of the parallel session on Objective 1.4. 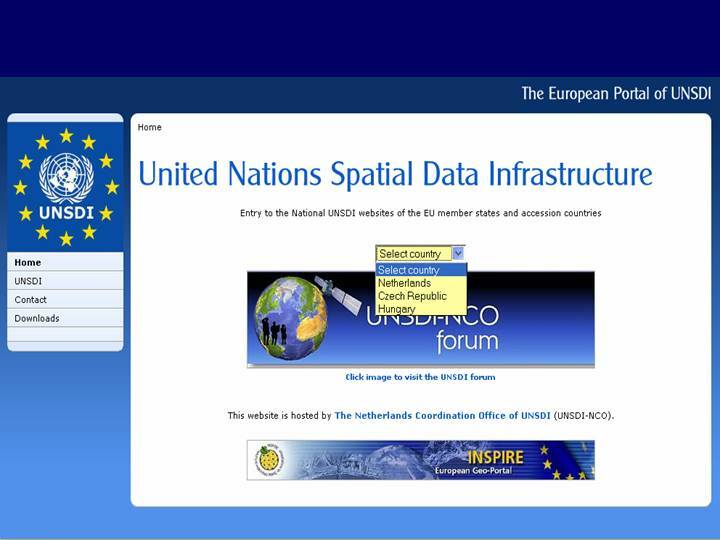 Additional information about the Security unit can be found at http://cordis.europa.eu/ist/trust-security/newsletter.htm "
Topics covered are: IACS, Agricultural Parcel-based Information System (MEPAR), FAO's Agroweb services. 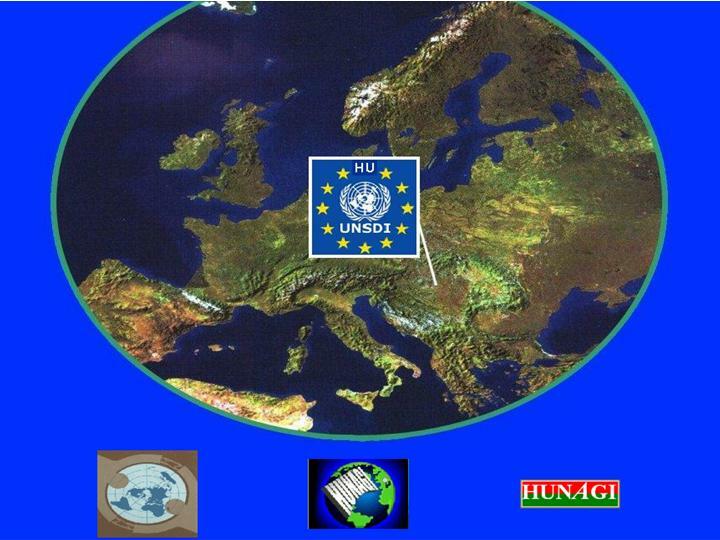 Numerous HUNAGI Member Institutions, Programs as well as partners from Hungary and abroad will participate. 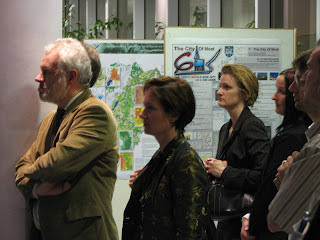 Prof. Rudolf Giffinger (left) in background with the VATI poster. 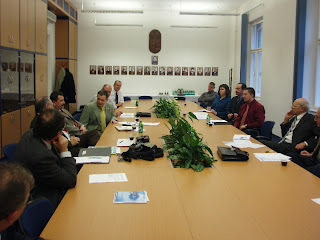 The conferece will take place at the Debrecen University, valued Member of HUNAGI. According to Prof.Dr. 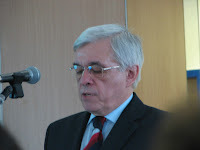 Miklós Herdon, President of the Hungarian Federation of Agricultural Informatics (MAGISZ), papers are welcomed on GI/GIS applications/developments in the subject areas. The already extended deadline is the 2nd of February. The INSPIRE Clock starts ticking. process. 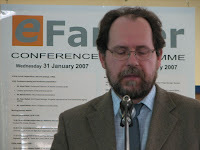 The adoption of the Directive is an agenda item for theEuropean Parliament's meeting of 17 February 2007 in Strasbourg. " 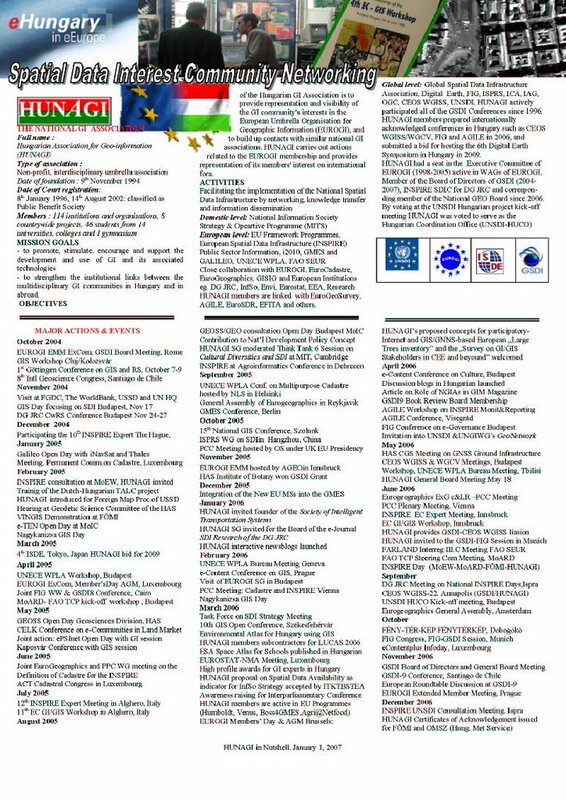 The close range timetable of the follow-on actions include the official translations into the official EU languages and the publication in the Official Journal of the European Union probably about May. Meantime the discussion draft of some of the Implementation Rules will be circulated among the LMOs and SDICs for comments and remarks . Application fields comprise natural resources, health and environment, sustainable management of resources such as energy and water, transportation and infrastructure, participation and administration as well as security and emergency management. GI_Forum 2007 gives authors choices about the type of submission they want to make in order to accommodate a variety of interdisciplinary contributions. A submission must be written in English language according to the formatting guidelines. 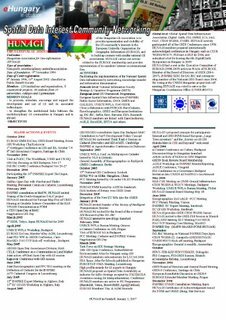 Deadline for submission of full papers and extended abstracts for publication: 01 February 2007. 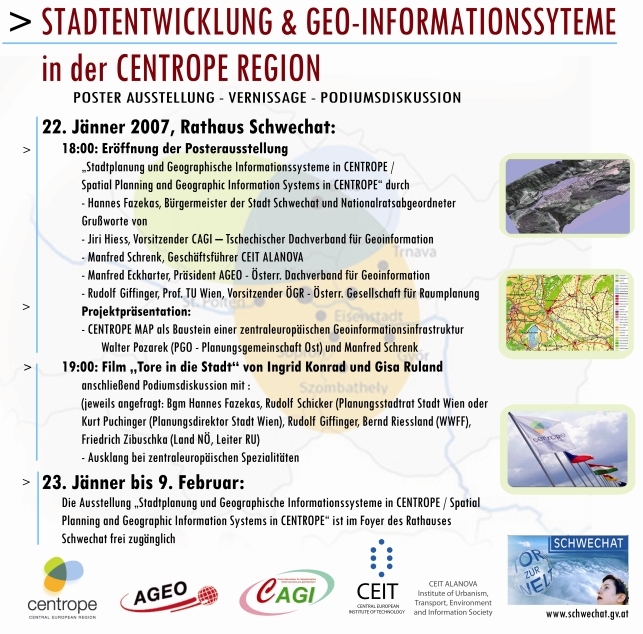 Late deadline for submission of extended abstracts for poster and/or oral presentation:27 April 2007. Accepted submissions will be published by Wichmann Verlag as a book. 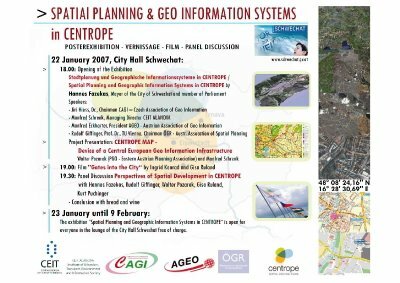 Masterminded by the Editor-in-Chief of the Hungarian geospatial journal Térinformatika Dr. Szilár Szabó, a set of short questions on a specific, future related topical application of GI/GIS was circulated worldwide using HUNAGI's links with acknowledged European and Global organisations and associations yesterday. Lets' make the subject cleared after HUNAGI will approached by the first boomerang coming from any of the involved international organisation (expected soon, probably in the coming hours). The evaluation of the entries will be made by Térinformatika but as a spin-off result, also the methodological effectiveness such an inter-organisational approach will be investigated by HUNAGI taken into account all measurable aspects including geospatial distribution of the interested parties. Anyway, the first positive feedback cames from the direction of UNGIWG, which is more than promising. 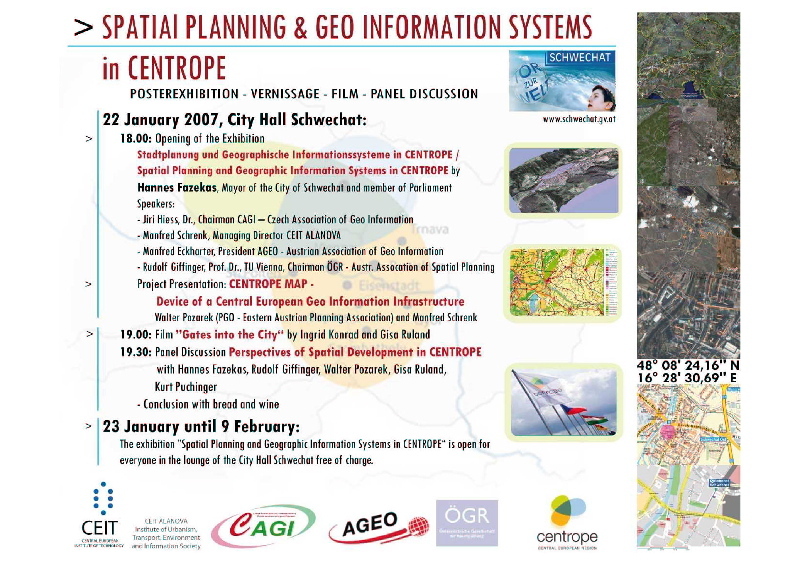 International Poster Exhibition in Schwechat, Austria devoted to Spatial Planning and GIS organised by AGEO, CAGI, CEIT, CENTROPA and CEIT ALANOVA. Opening Meeting on January 22. 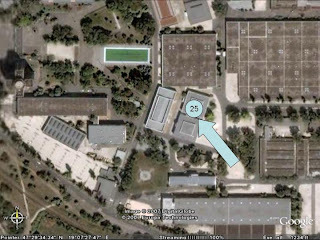 Duration of the Exhibition: January 23-February 9. HUNAGI made immediately an announcement on Call for Posters in Hungarian at http://hunagi8.blogspot.com with some direct mails to potential poster presenters from the HUNAGI community including VÁTI, Dept of Landscape Planning at the CORVINUS University, Szombathely City Hall, FÖMI, NKP Kht, GEO Faculty of the West Hungary University and InterMap Ltd.
Mr. Jan Cees Vanema, Head of the UNSDI Coordination Office for The Netherlands announced today the just established link from the European UNSDI Portal to the Hungarian partner office's website www.unsdi.hu hosted by WEBhu Ltd. It is anticipated, the startpage will be upgraded soon to a more advanced website environment to be operated remotely by content management software such as Liferay, Plone, Joomla or WebtoDate. The selection will be made in close consultation with the host service provider and with our UNSDI EU partners. 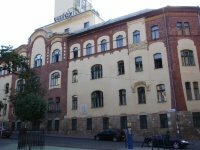 by e-mail for HUNAGI member institutions, student members and contacts of the extended mailing list of HUNAGI. This thematic issue contains chronological listing of professional events and conferences of the coming months. 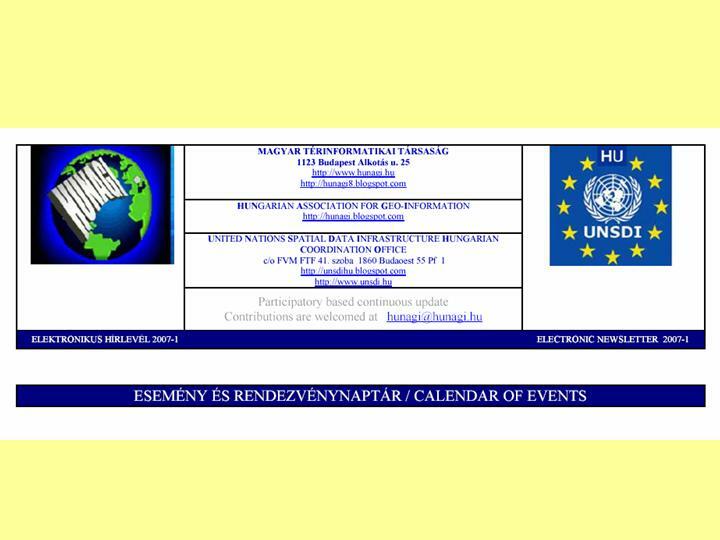 To subscribe please write to hunagi@hunagi.hu with the subject "eNewsletter: Yes please"
To unssubscribe please write to hunagi@hunagi.hu with the subject "No thank you"Calendar of events and conferences selected by HUNAGI and its partners. 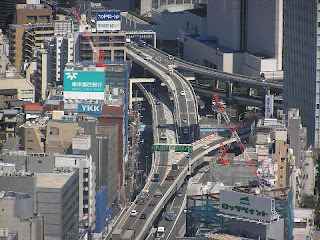 Contributions, enhancements are welcomed anytime. Please write to hunagi@hunagi.hu with Events int he subject line. 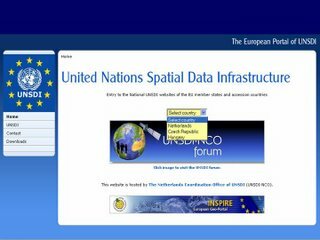 Sources and Contributors include FIG, ISPRS, GSDI, EUROGI, CEOS WGISS, UNSDI, European Commission, HUNAGI Members and Partners. 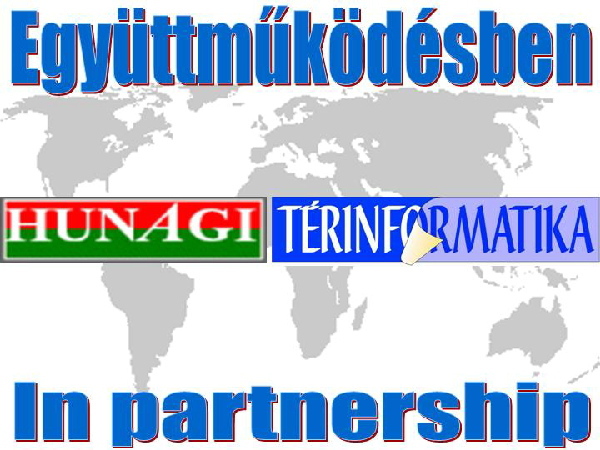 Events in Hungary (marked with bolded green) are collected and maintained by HUNAGI in partnership with Térinformatika, the Hungarian Journal on spatial informatics. 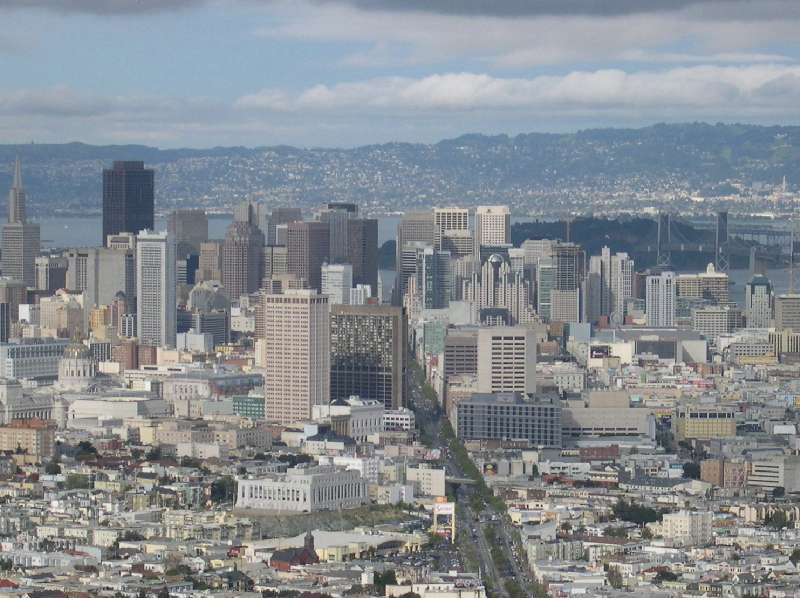 This listings is valid as of January 12, 2007 and will be not maintained. 7-17 May 2007ASPRS 2007 Annual Conference "Identifying Geospatial Solutions"